What could be better than the perfect bra? This year, wrap up one of UpBra's products for your special someone to put under the tree! Their incredible design is suited for all women looking to create cleavage or looking for a little lift. Each bra features cleavage-control straps, which gives you the control to achieve your desired look. These can be adjusted to work with whatever type of top you're wearing this holiday season! If you're looking for a strapless option, look no further! The cleavage-control straps move breasts upward and inward when pulled, creating an incredible effect. Once you've hit the mark, you can lock the strap by attaching the hook to one of the various slots built into the underwire. Each of the bra cups also have a vinyl hearts pattern designed for extra grip to keep cups from sliding throughout the day (especially those strapless bras). You can now wear that low-cut dress for date night with complete confidence (and add a little va-va-voom)! 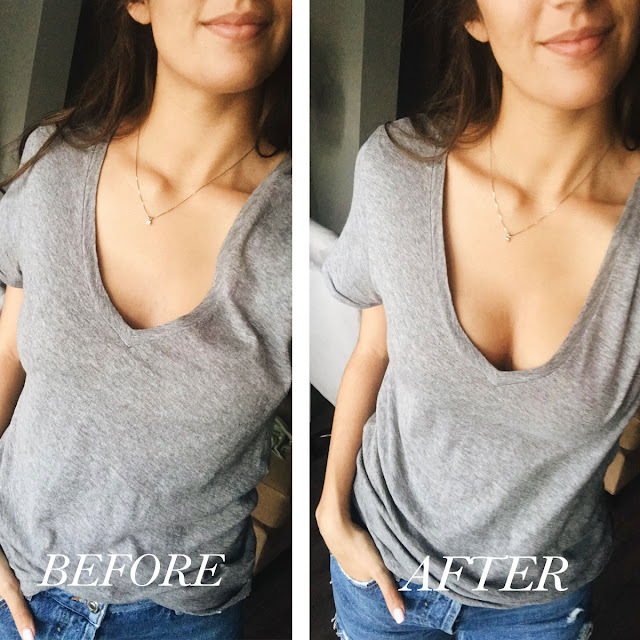 I've been trying out the strapless and regular version of the Upbra over the last few months for occasions, and I have to say I am impressed. Very rarely do I find a strapless bra that stays up throughout the night without having to be adjusted every 20 minutes. Do any of you gals have this same struggle? Upbra offers regular, strapless (with removable clip-on straps), convertible and t-shirt bra options, as well as a line of bikinis! Thanks to UpBra for sponsoring this post. As always, all opinions are my own.